Finally we have some news concerning the Blood Lad anime; an adaptation of Yuuki Kodama‘s vampire adventure/romantic comedy manga series. Somehow a rumour about this anime airing in the Summer 2012 Season surfaced on the net. Of course I have no idea how that came to be but Blood Lad did make its way onto various preview charts and lists (including our one). I’m glad to see this anime is still on track because I ended up reading over 20 chapters of the manga and liked it. The story has a certain charm to it with its mix of action, adventure and romantic comedy and the artwork is pretty unique as well. Brain’s Base is a great choice to animate this manga. 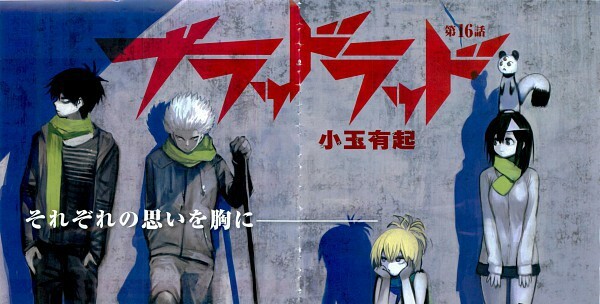 With their unique art style, I’m sure they could do some interesting things with Blood Lad. The manga has a nice and unique art style itself, so Brain’s Base touching up a few things here or there is sure to make this series better. Essentially a comparison could be made to BONES‘ adaptation of Soul Eater, and I hope this series comes out as well if not better. I was quite disappointed it didn’t air this summer and in retrospect that would have made the Summer season better. With manga series like Blood Lad, there is always a worry that a “project announcement” is nothing more than an OVA, so now that the news is official, I’m anticipating this series’ start. Based on Brain’s Base’s schedule, it’s hard to predict when the anime will start but my guess is it’ll be after the Winter season.